LINCOLN, Neb. - Nebraska built a four-touchdown lead in the first half and survived some nervous moments in the second before pulling away to beat Minnesota 53-28 on Saturday, giving Scott Frost his long-awaited first win as Cornhuskers coach and ending a program-record 10-game losing streak. A week after squandering a late 10-point lead at Northwestern and losing in overtime, the Huskers scored on three of their first four possessions on their way to a 28-0 lead. 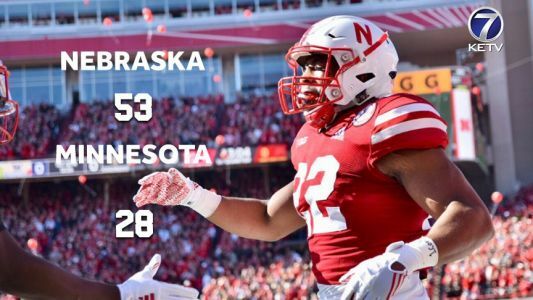 Nebraska's running game powered the Huskers to their long-awaited first win under new head coach Scott Frost. 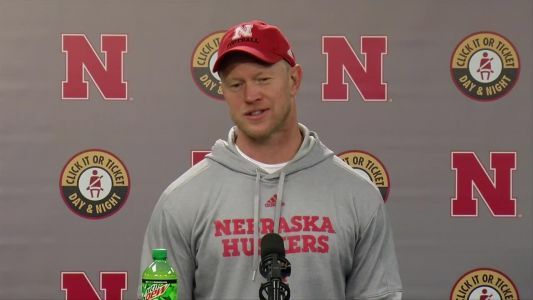 Hear from Scott Frost following his first win as Nebraska's head coach. The Nebraska Cornhuskers picked up the team's first win of the season - and first under Scott Frost - by beating the Minnesota Golden Gophers.